Father JOHN PEMBERTON, b. Bef 24 Apr 1642, Charlestown, Suffolk Co., Mass. 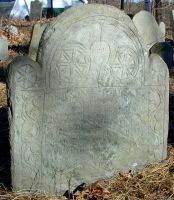 Mother DEBORAH BLAKE, b. Abt 1645, Gloucester, Essex Co., Mass. Family THOMAS KIMBALL, Jr., b. 1665, Rowley, Essex Co., Mass. 1. Thomas Kimball, b. 14 Oct 1687, Bradford, Essex Co., Mass. 2. Jonathon Kimball, b. 21 Feb 1688/89, Bradford, Essex Co., Mass. 3. Dorothy Kimball, b. 13 Sep 1690, Bradford, Essex Co., Mass. 4. John Kimball, b. 16 Nov 1692, Bradford, Essex Co., Mass. 5. MARY KIMBALL, b. 25 Feb 1693/94, Bradford, Essex Co., Mass. 6. Deborah Kimball, b. 13 Apr 1695, Bradford, Essex Co., Mass. 7. Ebenezer Kimball, b. 8 Jul 1697, Bradford, Essex Co., Mass. 8. Ephraim Kimball, b. 29 Apr 1699, Bradford, Essex Co., Mass. 9. ABIGAIL KIMBALL, b. 12 Apr 1702, Bradford, Essex Co., Mass. 10. Priscilla Kimball, b. 14 Jun 1703, Bradford, Essex Co., Mass. 11. Sarah Kimball, b. 22 Jan 1705/06, Bradford, Essex Co., Mass.